When I say events I mean internal kick-offs, seminars, tradeshows, panels, keynotes and conferences. It is beneficial for you and your company to attend these events both physically and online from several perspectives. 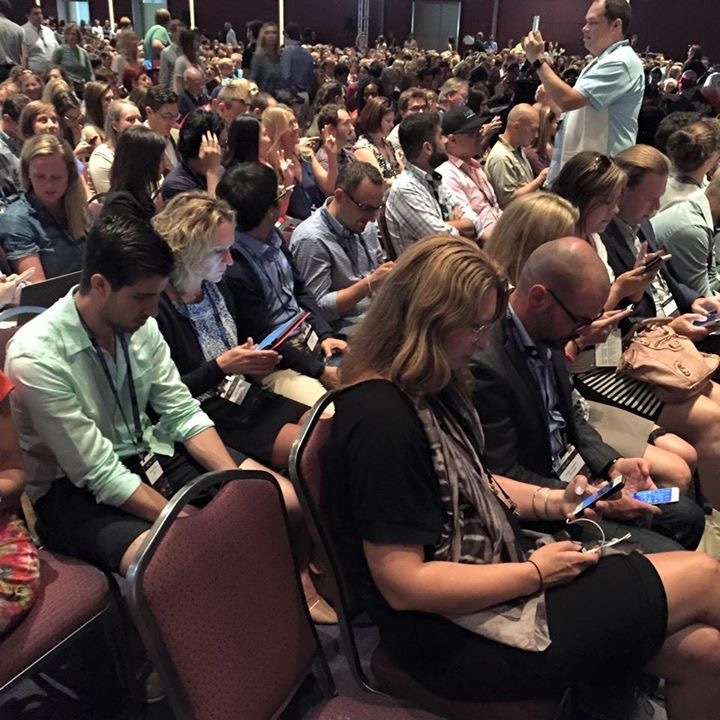 When you attend an event next time, use your most appropriate device, a quality camera, and use these tips to increase your reach and connections through live-tweeting. To prepare in advance, go through the speaker and panel list and determine which ones that have personal Twitter accounts, and if the organisations they represent have Twitter accounts. Compile all of these accounts into a list on Twitter that you can monitor during the event. Take time to compose and edit photos and videos before posting them. One of the best ways to guarantee both engagement and followers during an event is to be the account that goes above and beyond to be the appendix or reference list for the event’s followers. If the speakers or the panel mentions a recent article, or uses a video in a presentation, find that link and share it. After the day is done, the content from an event can be overwhelming and hard for followers who missed the live posting to recap. Translate your 140 character insights into a summary article of key points, quotes, and other highlights that provide value to your followers and fellow event attendees, and share this link with the event hashtag first thing the next morning. Live-tweeting is like taking notes, online, collective and live. So when you hear something interesting you shall make it "tweetable". All your followers will see the tweet, and so will everyone following the event hashtag. And people can retweet, like or reply. For attendees and organisers, live-tweeting are common at most conferences, events, webinars and lectures. 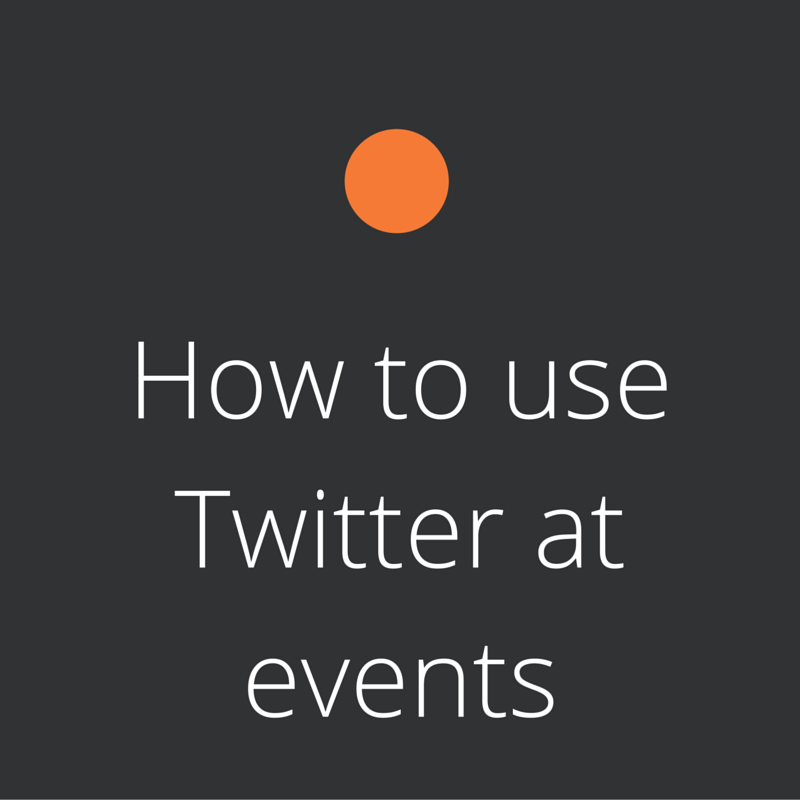 And to capitalise on it, many event organisers have figured out they need to assign a person or even a team of people to run Twitter at their events so it runs smoothly. Are you thinking about live-tweeting? Whether you've done it before or this is your very first time, we have gather some tips, tricks, and best practices below. Create templates ahead of time. If the event has speakers, make images of these speakers pre the event. Optimize them for tweets (876 x 438 pixels) and leave some whitespace so you can add text later. Also create templates for quotes. You can use a photo editor application for this, or a web service like Canva, which lets you do everything from creating templates, changing text and exporting web images without needing any design skills at all. If you don't know exactly what time some things are happening, you can still write tweets ahead of time and put them into notes or similar. That way, you can grab it at a moment's notice. If you choose to do this, make sure you shorten any links and check the character count so you can literally copy, paste, and send. Research the event's projected hashtag, as well as related, impactful hashtags to be used during the event. Expect technical difficulties and have a back-up plan. Make sure your devices are fully charged, carry your phone charger around with you, and keep a laptop handy as backup. If you're concerned about battery life and your ability to charge on the go, invest in a battery case. Use the event's hashtag in every single live tweet. Make sure each of your tweets leaves room for that hashtag. When faced with the choice of cutting the hashtag or shortening the copy of the tweet, shorten the copy of the tweet. Interact with your Twitter audience. Keep track of the official hashtag as well as unofficial hashtags that may have popped up. You won't be able to see every single tweet, but look out for questions you can answer, positive comments you can respond to (or like, or retweet), and negative feedback you can address. Ask your Twitter audience questions to boost engagement and give you insights, like "What's been your favourite session so far?" Include speakers' Twitter handles when quoting them. Let your speakers know you're tweeting about them by including their Twitter handle when you promote their sessions or quote them. Get a good seat at speaker sessions. If you're live-tweeting photos, make sure the photos are taken from a unique and good angle. This means you should arrive early at the sessions you want to tweet about. You want everyone to retweet your photos. Have quick photo editing apps on-hand. And make sure you're familiar with the photo editing apps you plan to use ahead of time. Use the templates you prepared pre the event. Have these templates on hand as you listen to the speakers. When you hear a tweetable takeaway from a speaker, type it up in the picture template, write a quick tweet to accompany it (including the speaker's Twitter handle and your event's official hashtag), check quickly for spelling errors, and ship that tweet as quickly as you can. The first tweet that comes out with any given quote is often the most retweeted, so it's really important that you do this fast. Take photos if you see anything that's particularly tweetworthy, get ready to snap a picture and upload it to Twitter. If you're using Instagram to snap pictures at the event, make sure you're uploading the image directly to Twitter, not using Instagram's "share to Twitter" feature. By uploading photos directly to Twitter, your tweets will automatically appear in your followers' streams, and that affects how your tweets perform. Compile the best tweets from all sessions. Write a follow-up blog post with all the best tweets from the session. 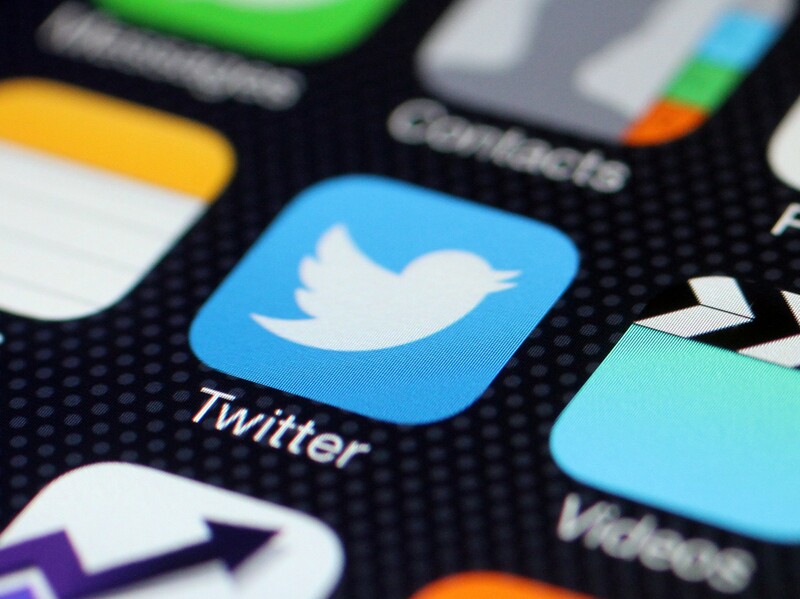 Make sure the tweets feature a healthy mixture of your own and your attendees' tweets. Keep interacting with your Twitter audience. Chances are, people will still be tweeting about the event when it's over. They might have questions about where to find session recordings, or they might tweet feedback for how they think it went. Respond to these tweets, both positive and negative. Assess engagement on each of your tweets. Which of your tweets got the most likes and retweets? Which links were clicked on the most? Were tweets with images more popular than tweets without images? Analyze which tweets performed best so you can make your next live-tweeting session even better. Say thank you to everyone that you now interacted with your Twitter. What other live-tweeting tips do you have? Feel free to share in the comments below!